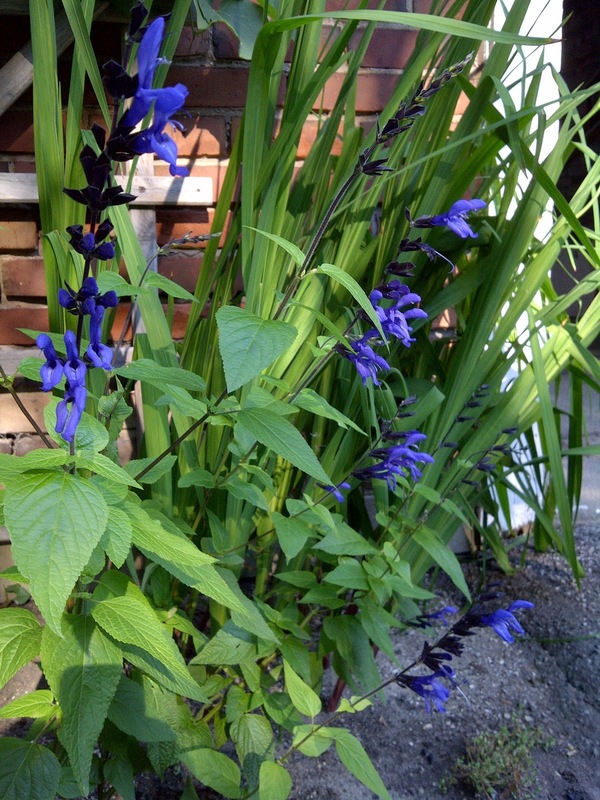 Salvia guaranitica is a lovely annual shrublike plant from South America. The common name is Anise-Scented Sage which I feel does not aptly describe its scent. If you want to attract Hummingbirds to your garden this is the plant to do it with. Just yesterday I saw the lovely Ruby-Throated Hummingbird sipping its sweet nectar. What a sight to behold! This plant also generates garden interest from other gardeners. It is one of my favourites as the combination of the flower a lovely deep blue set against the deep purple calyx make this a sensational Salvia. This Salvia forms tubers that can be stored over winter like Dahlias to be replanted in the garden next summer. Who knew! 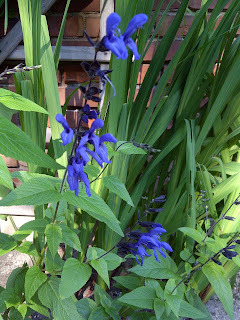 This is a plant of great garden interest that is now garnering appreciation from keen gardeners.